What's more charming than decor that celebrates the special place you and your family share together that you call home?! 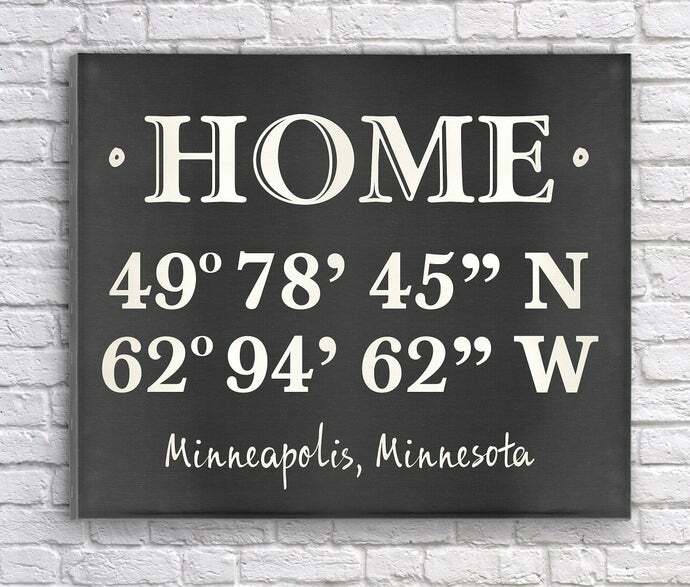 This stretched canvas features a black chalkboard or tan parchment background giving a vintage vibe all while displaying your home coordinates and your city and state. 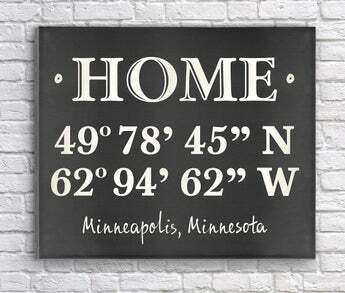 Place on display in your own home for a cool update to your decor or give as a housewarming gift for a new couple!